With the news that the ‘Yes to Independence’ campaign had overtaken the ‘Better Together No to Independence’ campaign in the polls, the Yes campaign went on the offensive trying to paint the No campaign as panicking. To counter this at the time, unfounded accusation, the No campaign launched itself into full panic mode. Firstly, they cancelled Prime Minister’s Questions (PMQs) so the three party leaders could take a completely unplanned and, let’s be honest, unwelcomed trip to Scotland to try and ‘love bomb’ the Scots. While I feel little sympathy for Cameron, I do feel a bit bad for Clegg as once again he fights in a referendum where he does more harm than good. He is, whether he likes to admit it or not, now part of the three figureheads of conventional Westminster politics who are to the No campaign what the Liberal Democrats were to the AV campaign. Alex Salmond must have been laughing at the news that all three of them were heading north. As if trying to write a satirical sketch for the ‘Thick of it’, it got worse. Someone somewhere decided to try and fly the saltire over Downing Street and impressively manged to get it wrong. 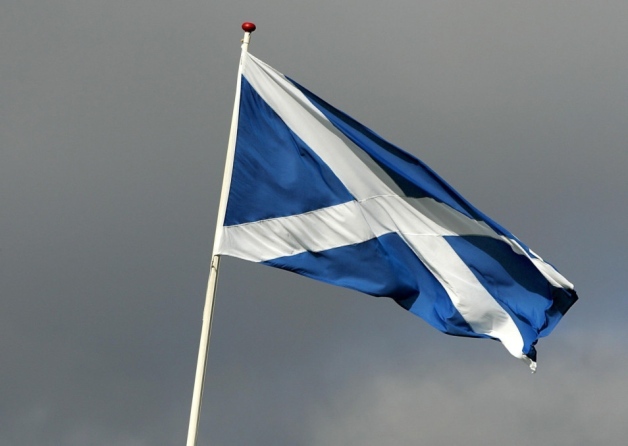 Truly a wonderful moment – the satire of the saltire. It has been a long time since I have seen a collective political flap as big as this. Will the Scots find this late attempt to love-bomb them lovable? Or, and perhaps more likely, will they see through these latest twists and turns of political posturing? I suspect the latter but I guess we won’t find out until the 18th September when Scots go to the polls.